On December 19th 2011 Paul announced that February 2012 would see the release of his brand new studio album. Scores of fans then streamed the new original track ‘My Valentine’, many assuming it would be the new record’s title track. 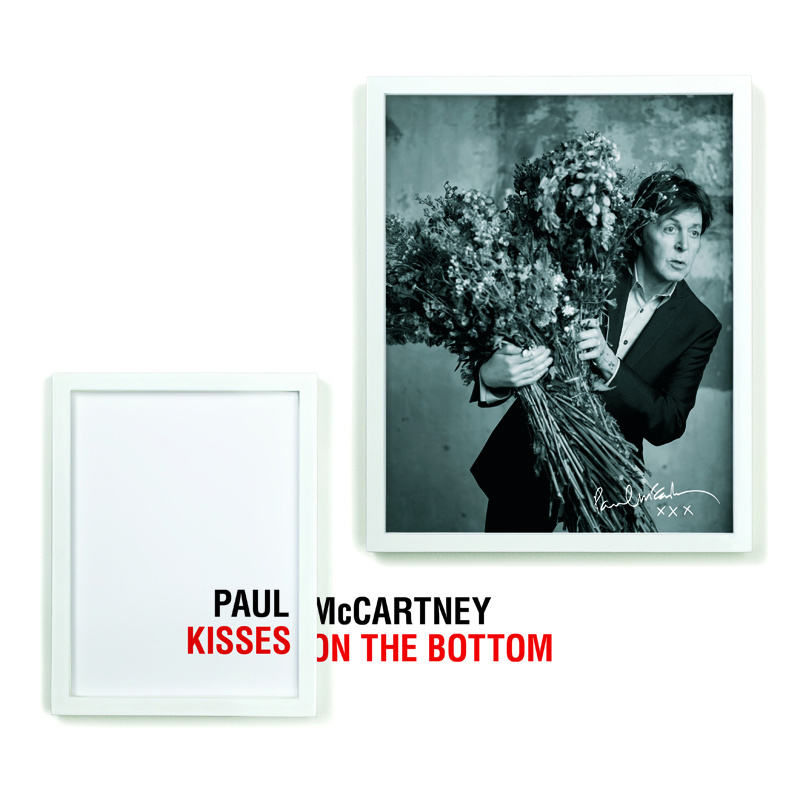 While a few Twitter hints have been dropped and rumours have run rampant, Paul puts an end to speculation today, confirming that the album will indeed be titled ‘Kisses On The Bottom’. Paul has apparently had some fun with his choice of album title—while causing some confusion amongst those who have historically subjected his every move to microscopic scrutiny (with many fixating on an anatomical interpretation!). The phrase ‘Kisses On The Bottom,’ however, actually comes from the album’s opener ‘I’m Gonna Sit Right Down And Write Myself A Letter’. Originally made a big hit by Fats Waller in 1935, the song opens with the lines ‘I’m gonna sit right down and write myself a letter and make believe it came from you. I’m gonna write words oh so sweet. They’re gonna knock me off of my feet. A lot of kisses on the bottom , I’ll be glad I got ‘em’. The album will also be available digitally. You will be able to pre-order the album directly from PaulMcCartney.com soon! The Wogblog website says the deluxe CD package will contain longer liner notes and expanded packaging featuring three postcards, along with the two bonus tracks mentioned above. He also reminds us that”Baby’s Request” is a McCartney composition that can be found on the Wings album “Back To The Egg” from 1979. For vinyl collectors there’ll be a double LP version of “Kisses On The Bottom” released. This entry was posted in Beatles, Beatles Collecting, Beatles Music, Paul McCartney and tagged Beatles, Beatles Collecting, Kisses on the Bottom, Music, Paul McCartney by beatlesblogger. Bookmark the permalink. I ‘d want suggest you this, because in Italy people goes crazy for that. Two of the songs have previously been released in versions on Apple Records. Ringo did “Bye, Bye Blackbird” on “Sentimental Journey” and Mary Hopkin did “Inchworm” on her first album. Thanks for picking up on that and sharing the info. Interesting. And Paul produced Mary Hopkin’s first album (in 1968), so he must have liked the song “The Inch Worm” for a long time. And his company MPL Communications Limited now owns the publishing rights to the song!